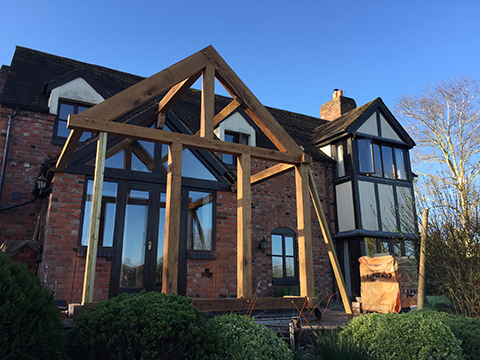 Kree8 were approached to design a traditional oak framed extension to the rear within a conservation area which would provide an additional seating and dining space. 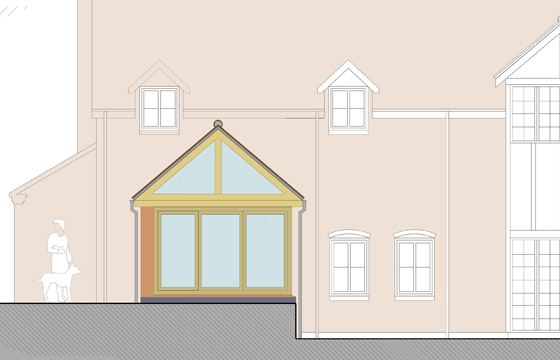 Kree8 liased with and submitted drawings to Hereford District Council to obtain planning permission for the extension. 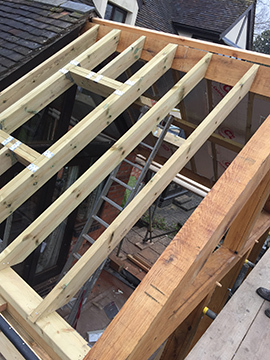 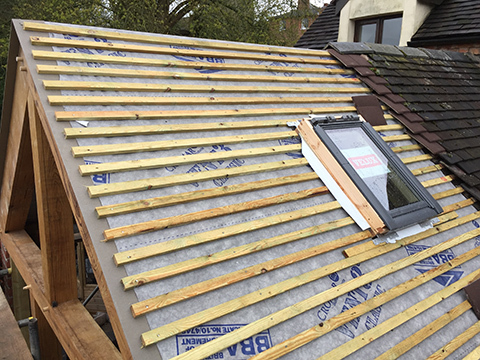 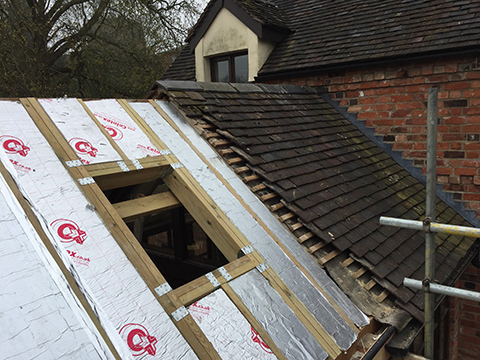 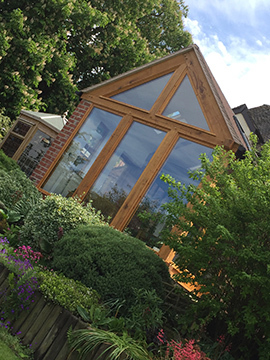 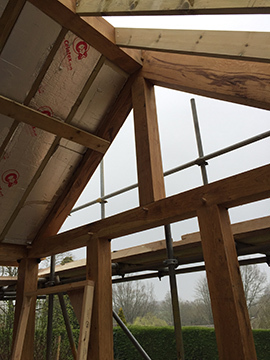 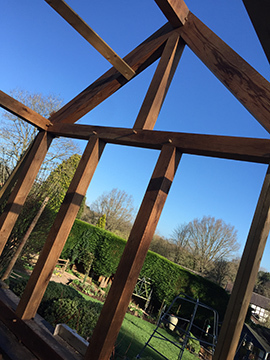 A traditional oak framed structure was constructed and fitted and acted as the main feature of the project. 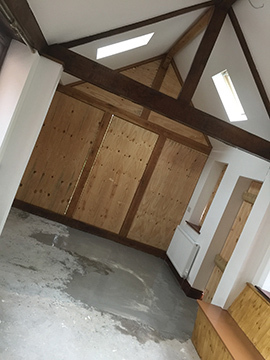 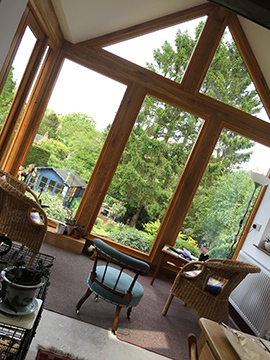 The new oak frame addition made a huge difference to the internal space. 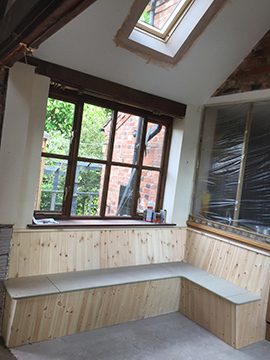 New bench seating was designed and constructed. 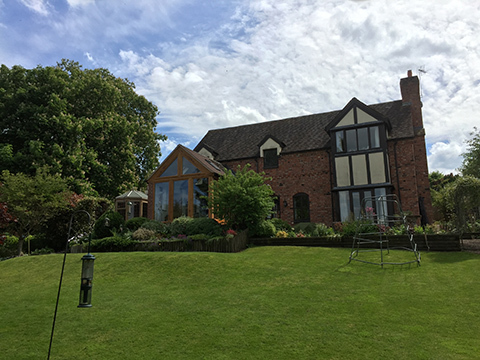 The overall look matched in with the existing property and the oak frame captured fantastic views of the garden and beyond countryside. 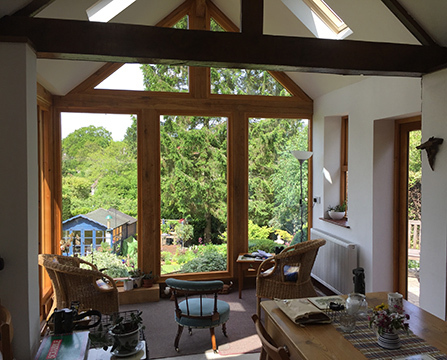 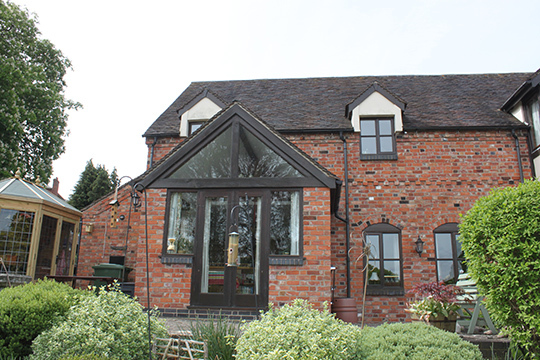 A traditional oak frame captured views of the garden and countryside beyond whilst enhancing the property and providing additional space full of character. 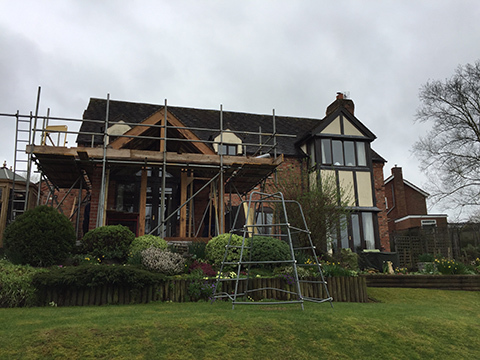 I would look to you if we required any work doing in the future and will recommend you to anyone looking for a reference.